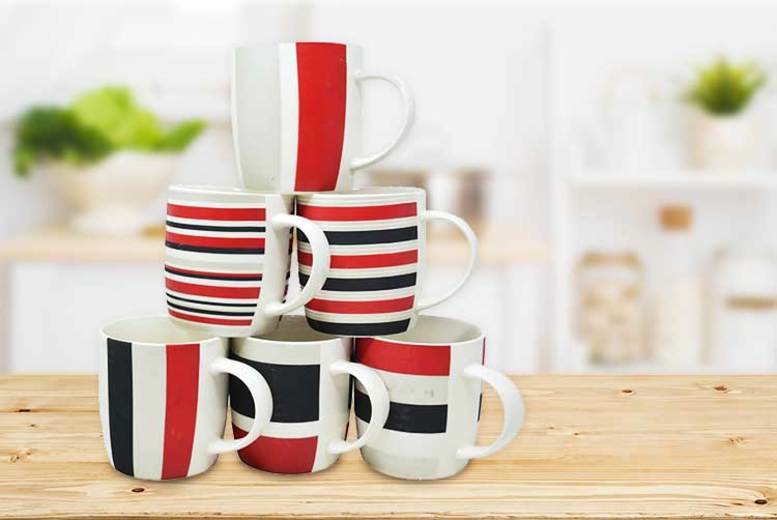 Get a set of six mugs. Made from high-quality ceramic. In a series of stylish red and black prints*. Each mug measures 10cm tall. A must-have addition to any kitchen!